It's amazing what you can create if you have creative juices running in your veins. Malaysian artist Hong Yi, who goes by the nickname Red, has created what might be the greatest Jackie Chan portrait ever. 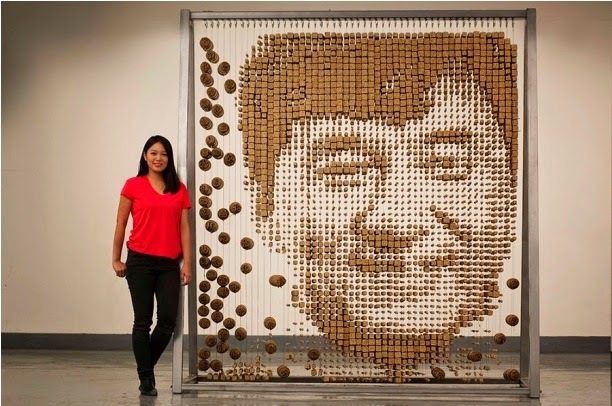 Red spent a month collecting 64,000 chopsticks which she then used to create a huge portrait of the action star. The final artwork is absolutely amazing. For more information about Red and her art, you can visit her blog, website, or on Facebook.